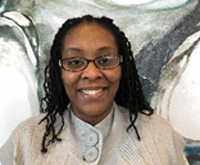 Chantia began her Property Management career in 2000, and managed a PACE Award winning community in Washington, DC before joining HHHunt in 2016. As Community Manager, Chantia leads a team of leasing, customer service, and maintenance professionals, delivering on our Brand Promises each and every day. Her number one goal is to ensure her residents experience the best service ever when looking to find their new home! Chantia has been a resident of Charles County since 2004, where she resides with her husband, two children, their cat Rosie and their dog Sarge. Natasha joined HHHunt as a Leasing Consultant in February 2013. In 2015 she was awarded Leasing Consultant of the Year and was promoted to Assistant Community Manager in November 2016. She was raised in North Carolina and is the true definition of Southern Hospitality…sweet, warm and welcoming to everyone she meets. Natasha holds a Bachelor’s Degree in Business Administration from Pfeiffer University, and in her spare time, loves spending time with her family and traveling with her loving husband. Raynard “Ray” Crews has over 20 years of experience in Property Management and held several positions before joining HHHunt as Abberly Square’s Service Manager in March 2017. He leads the day-to-day operations of our Service Team, ensuring our residents receive the Award-Winning Customer Service that is expected at our Community. Ray will welcome you with a warm smile and is eager to ensure each of our residents feels at home, and has confidence in knowing our Team is always here to take care of them. Valeisha Johnson, also known as Val, joined HHHunt as a Leasing Consultant in August of 2014. Valeisha takes pride in her position and has a passion for meeting new people and helping others, so much so, that she obtained her license as a Realtor in 2016. Her smile and enthusiasm are just as bright as the sunny state of Arizona from which she hails. She has three older sisters from whom she inherited a love of shopping, trying new things and exploring new places. Doretha Merriman joined the Abberly Square Team in November 2018 as a Leasing Consultant. She has over twenty years of experience in the Property Management industry and has held several positions in both Maryland and Washington, DC. Doretha is a die-hard Dallas Cowboys fan, and in her spare time she loves spending time with her three children, supporting the Epilepsy Foundation, crafting and traveling. Terrance has been a member of the Abberly Square Service Team since July 2017. He has a strong mechanical background and a refreshing new perspective on Property Management. Terrance has embraced the HHHunt culture and is committed to our Brand Promises of being customer focused and providing quality products and services. His daily responsibilities include responding to and resolving service requests, maintaining the grounds, building exteriors, and common areas in the superior condition that Abberly Square residents expect. Kalon joined Abberly Square’s Service Team in April 2018 as our Groundskeeper. He comes with over 3 years of Property Management experience and takes great pride in ensuring the community’s curb appeal. Though seemingly quiet and reserved, Kalon never hesitates to offer a helping hand to anyone in need. He has traveled extensively and has lived in both Alaska and Germany. In his spare time, Kalon’s favorite hobby is reading.